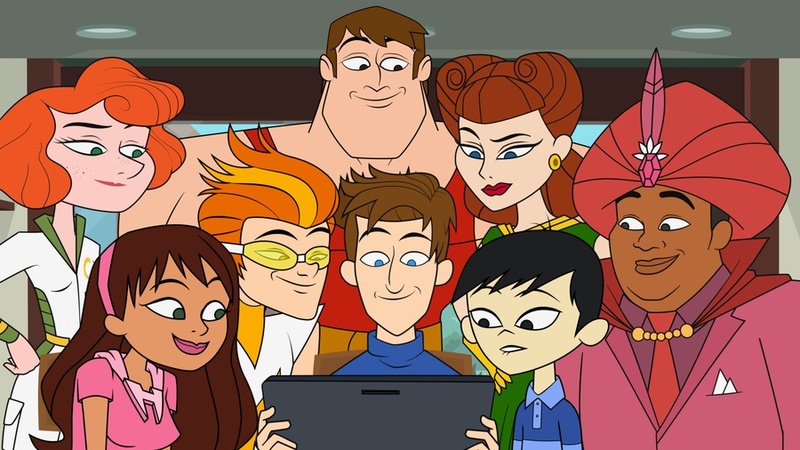 Episode 1 premieres August 1, 2013. The Many Names of Malocchio Jr. The Hold Steady "Let's Get Awesome!" 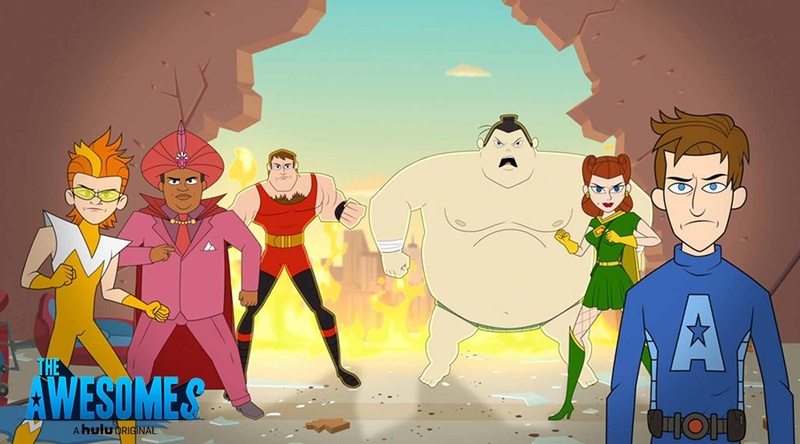 THE AWESOMES is an animated show for adults that combines the thrills of comic book storytelling with the hallmark irreverent and inspired comedy of co-creators Seth Meyers and Mike Shoemaker (Late Night with Seth Meyers). 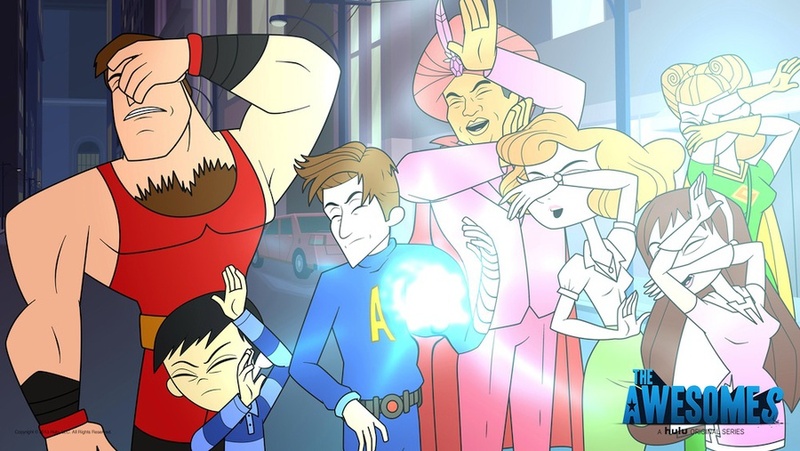 Showcasing the voice talents of current and past SNL stars, THE AWESOMES introduces a group of not-so-super heroes who just might find a way to save the world. 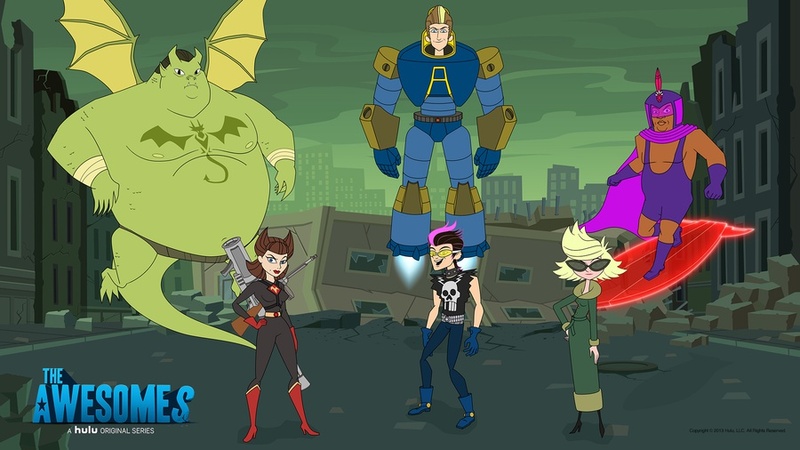 New leader of THE AWESOMES. Really smart, prone to injury, and hopelessly devoted to not disappointing his dad. 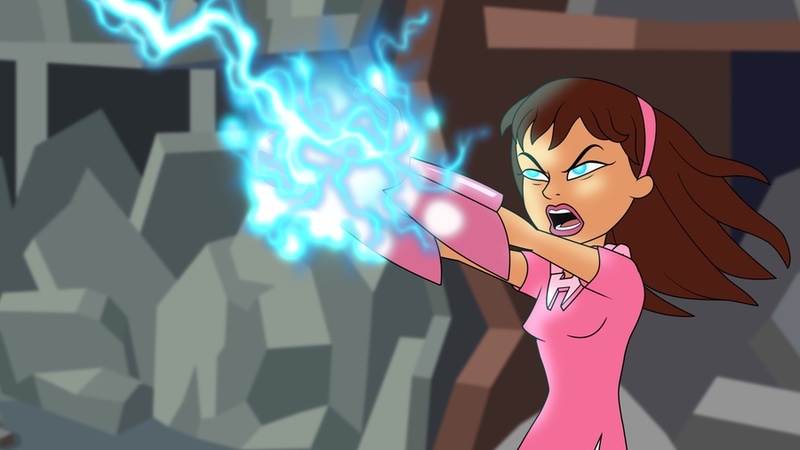 Electric personality that’s too good to be true. Crazy fast, emphasis on the crazy. Just your average 11-year-old with straight As. That, and uncontrollable rage. Mind of an 80-year-old, body of a 25-year-old. And the answer to your question is yes, even there. Very strong. Yeah, let’s just focus on that. 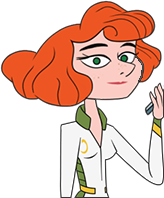 A charming supervillain with the power to control minds and whip up a flawless quiche. Can conjure anything his mind can come up with, so long as it’s in the shape of his mom. From assistant to superhero. It’s about time that promotion came through. 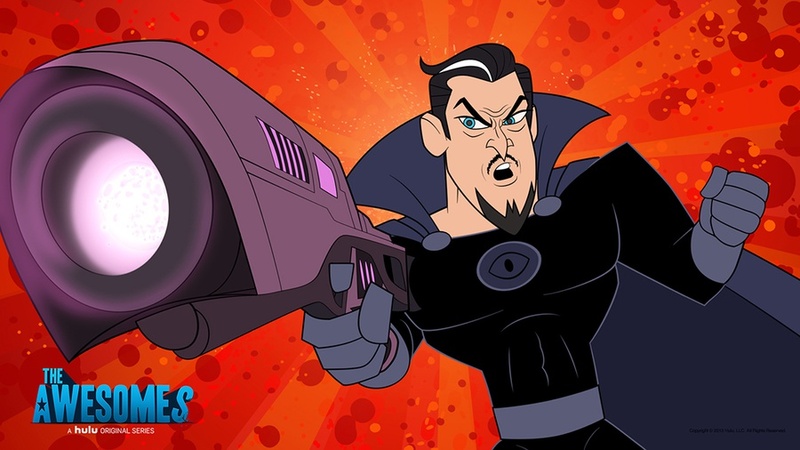 Death and taxes are the only things certain for this supervillain accountant. Makes a mean sandwich. 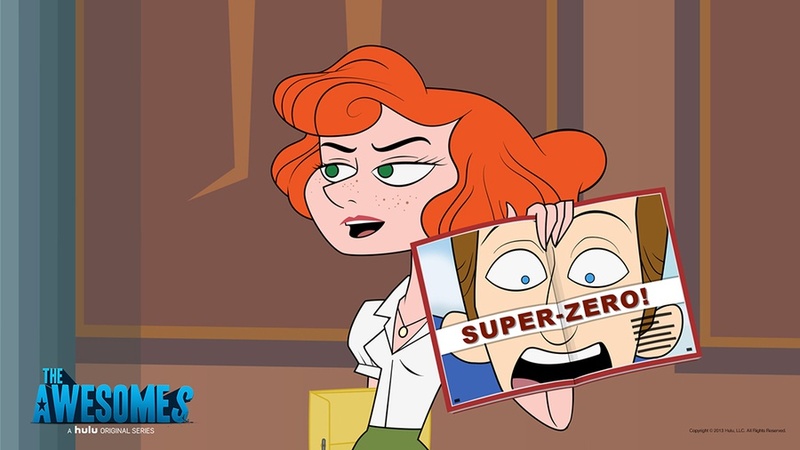 Even supervillains need a mother figure. Lays down the law. Gets down with Prock. Trouble ensues. After Mr. 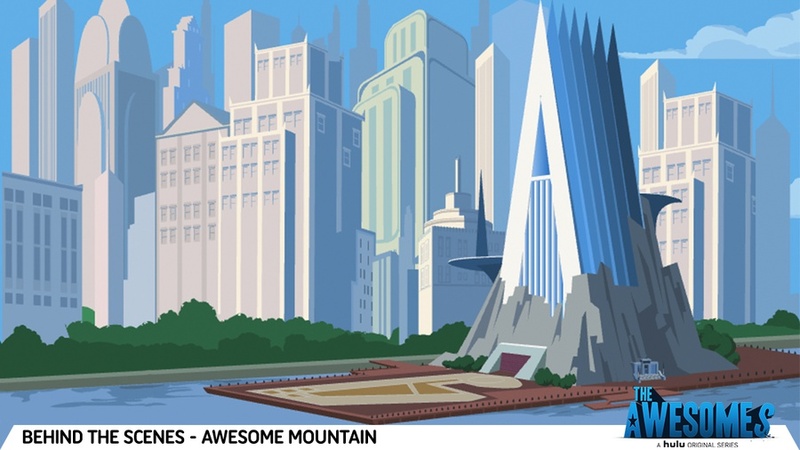 Awesome decides to retire and disband The Awesomes, his son Prock steps in to keep the team going. 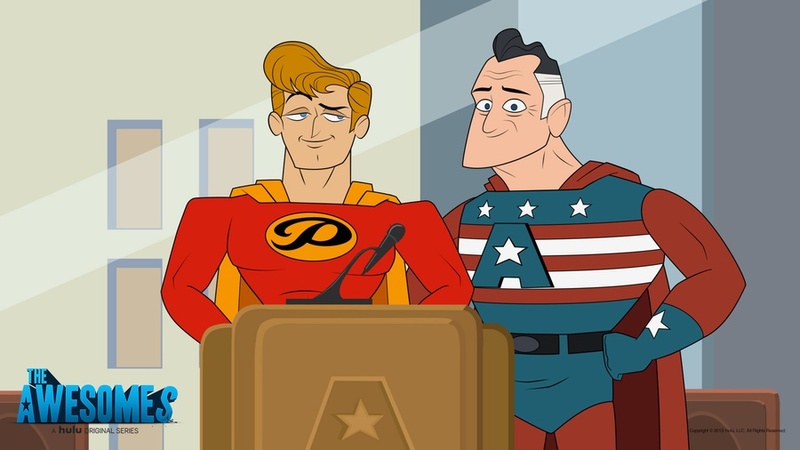 When the government threatens to pull their funding, however, Prock and his best friend Muscleman must find new members before time runs out. Meanwhile, Dr. Malocchio decides it’s time to come out of super-villain retirement. 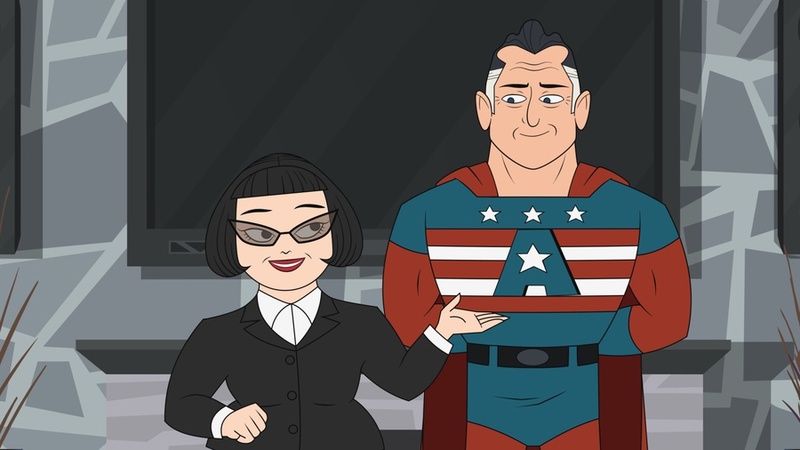 As Prock goes on “Superhero Now” to announce the new team, he is surprised by an appearance from super-villain Dr. Malocchio, who manages to convince the crowd that he is reformed. Meanwhile, a terrifying (yet adorable) group of demented pets called the Animal Kingdom plots an attack on Awesome Mountain. 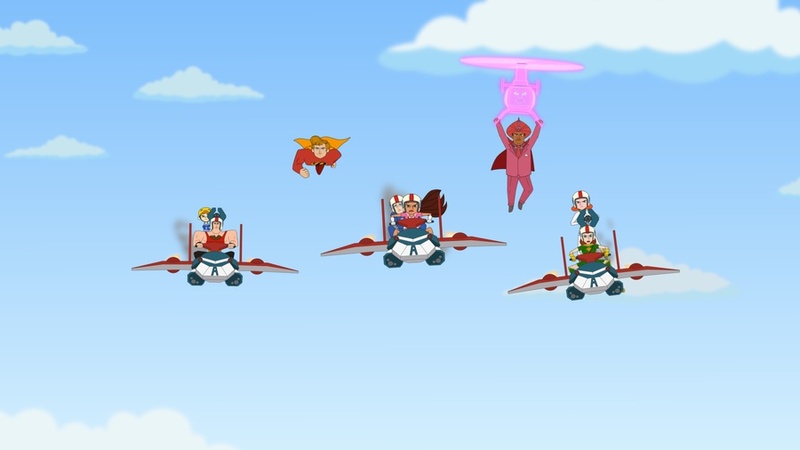 With the team trapped in their hologram training room, Gadget Gal is left outside to protect Awesome Mountain. 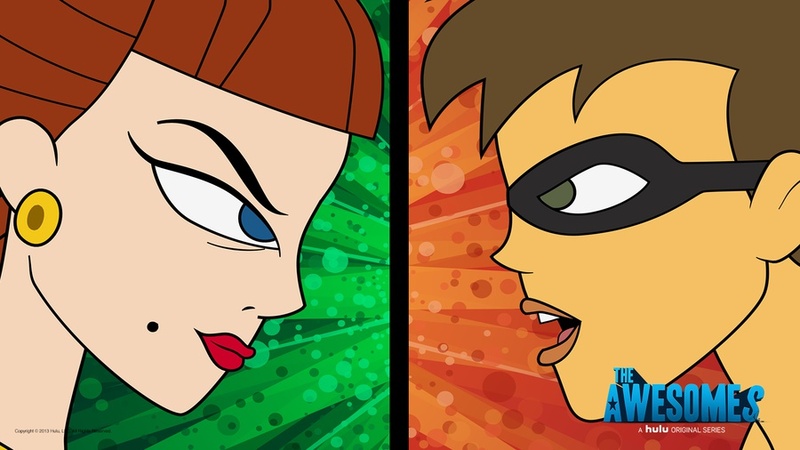 As she fights her archenemy, The Tomboy, The Awesomes huddle inside and tell the stories of how they became superheroes. 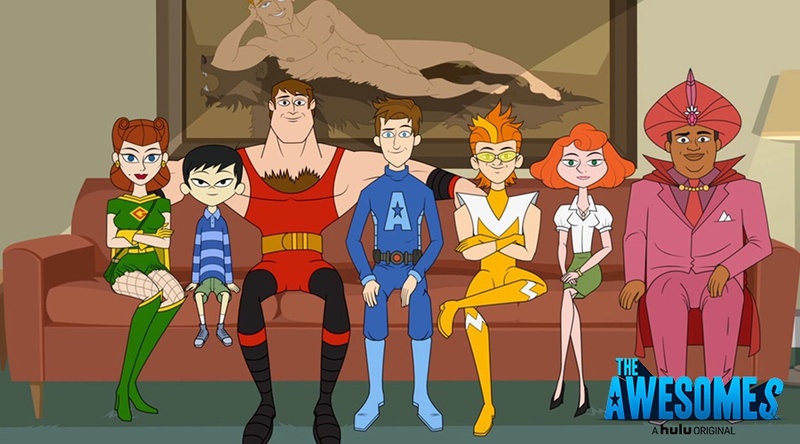 Tim’s parents worry that he’s not safe with The Awesomes and come to take him home. 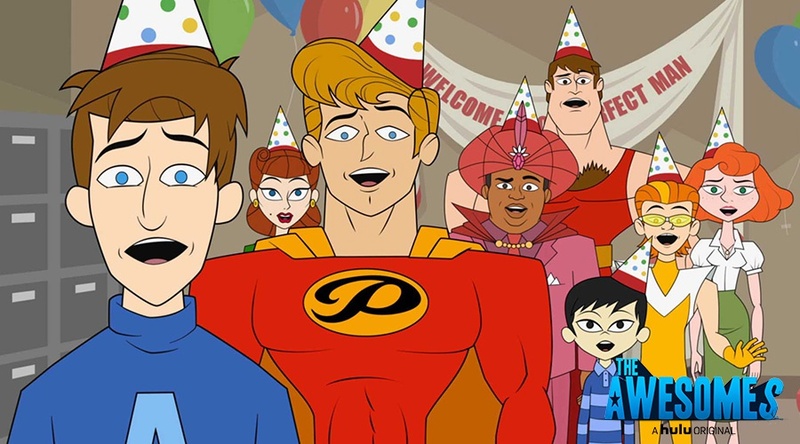 While leaving, Tim’s parents are attacked, and we learn that they have superpowers as well. 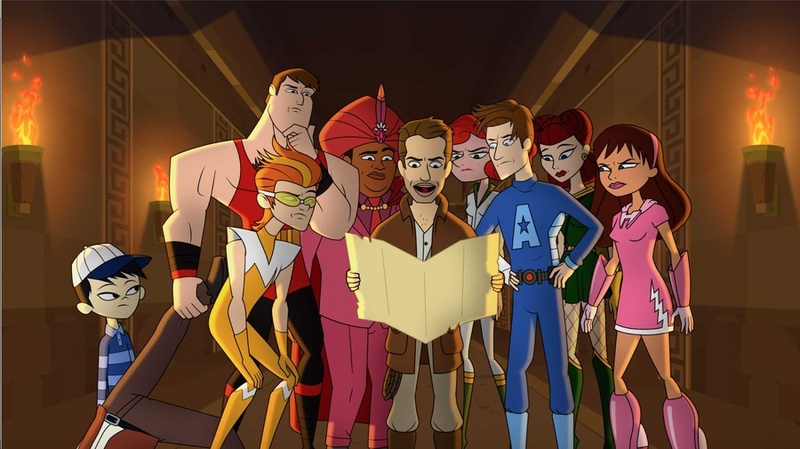 As former mercenaries “Dine and Dash,” they are on the run and need The Awesomes help to obtain new identities and escape their past. 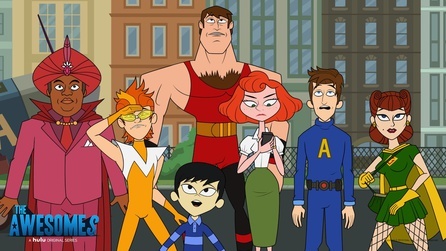 The Awesomes are transported to a parallel world where they meet their evil doppelgangers, “The Astoundings.” Since everything is backwards on this world, they seek an unlikely ally in a kind Italian man named Dr. Benicchio – the only one who can help them find a way back home. 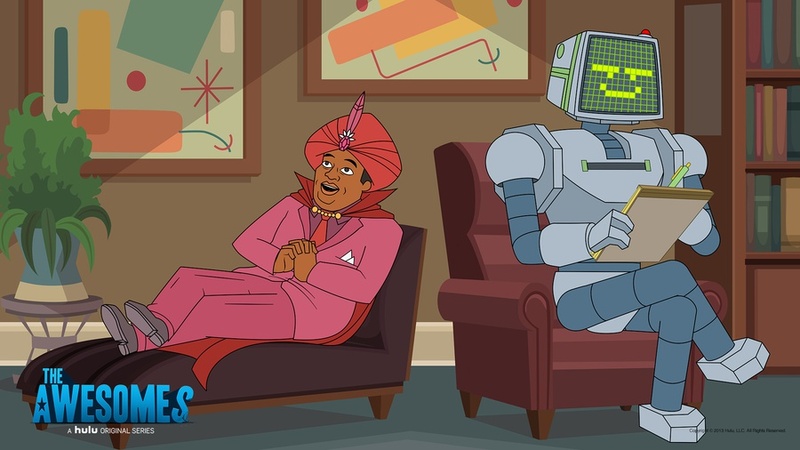 The Awesomes face disbandment unless they submit to psychological testing from government-issued therapists, who just so happen to be robots. 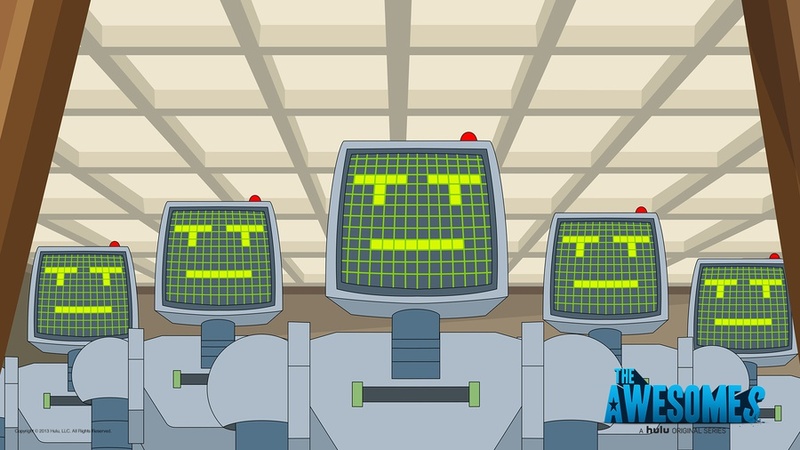 Since Prock doesn’t trust the robots, Joyce Mandrake forces him out of the group, leaving The Awesomes to be ruled by something nobody wants – a committee. Muscleman faces an intergalactic paternity suit, and Impresario and Frantic must defend him on an alien daytime talk show. 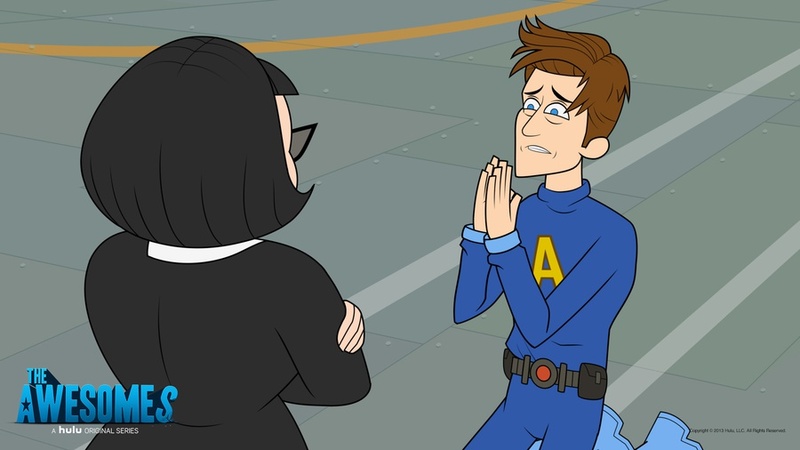 Back on Awesomes Mountain, Prock learns the meaning of delegation when he allows Tim and Gadget Gal to go on their first solo mission. 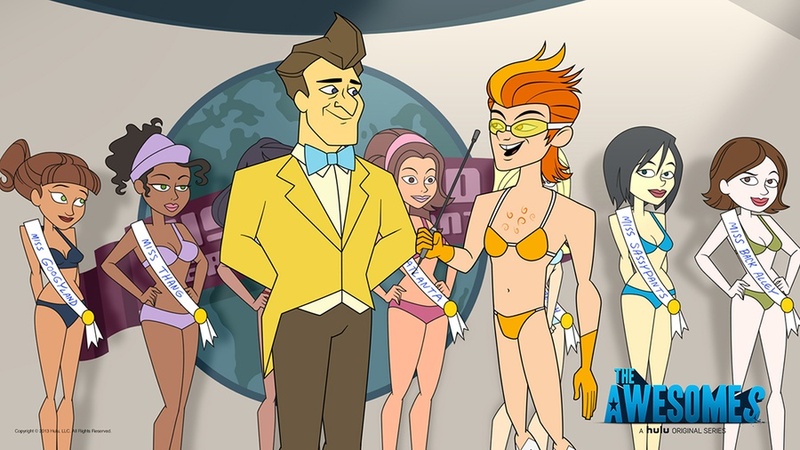 Frantic is chosen to judge a third-tier beauty pageant, but Gadget Gal suspects that it might be a trap. 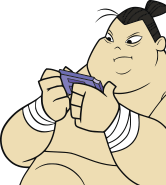 Having been voted the least fun member of the team, Prock tries to loosen up. 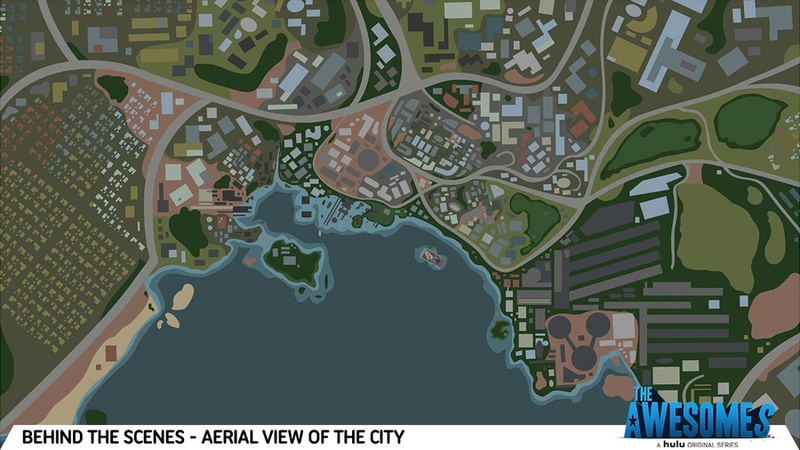 Muscleman questions Hotwire’s motives as Dr. Malocchio’s master plan starts to come together. 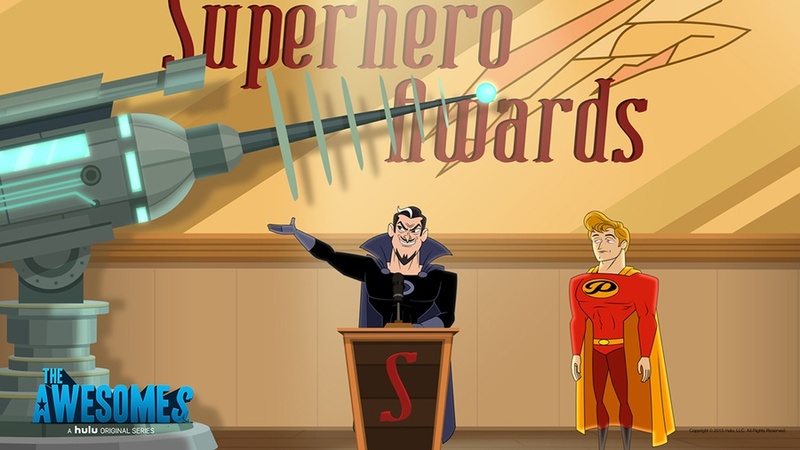 The first annual Superhero Awards takes place at the White House as all the heroes gather in one place. 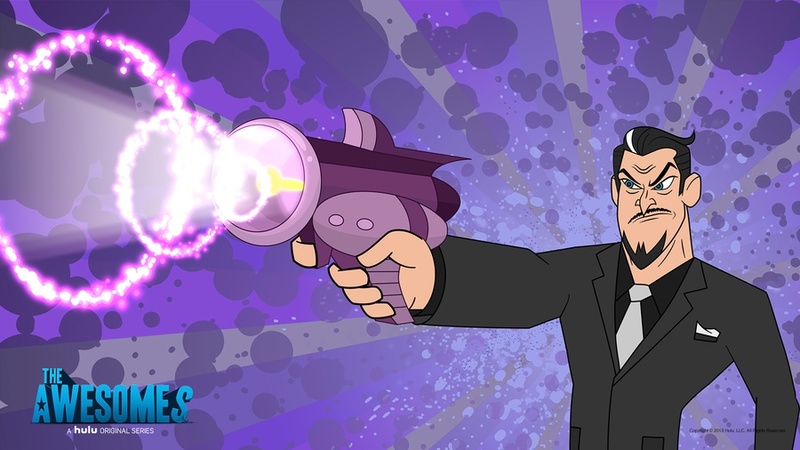 Confirming Prock’s suspicions, Dr. Malocchio reveals two secret weapons -- one of whom is a member of The Awesomes. 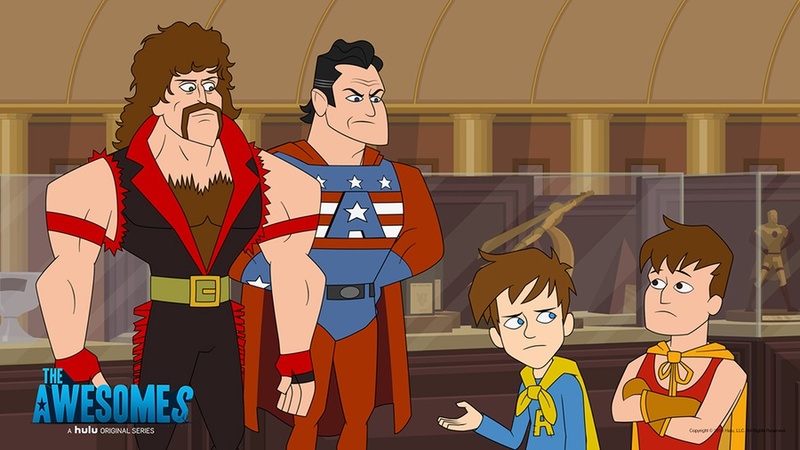 With Malocchio’s plan in full swing, all the world’s superheroes are rendered powerless, except The Awesomes. Can Prock and his team figure out how to stop Malocchio before it’s too late? 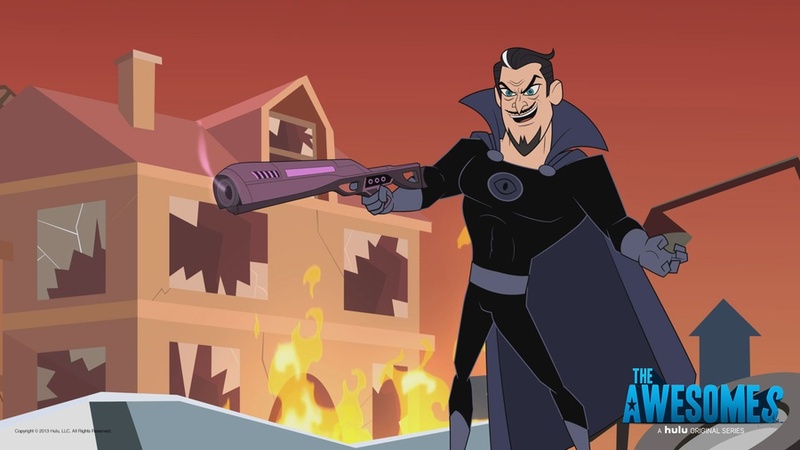 After enduring the loss of Hotwire, Prock and the team face a deadly scare from the new villain in town, Malocchio Jr. Meanwhile, Prock feels threatened by a mysterious new vigilante superhero. After Perfect Man is accused of treason, Prock reluctantly agrees to serve as his attorney. As Prock faces off against prosecutor Jaclyn Stone (Amy Poehler), chemistry ignites. 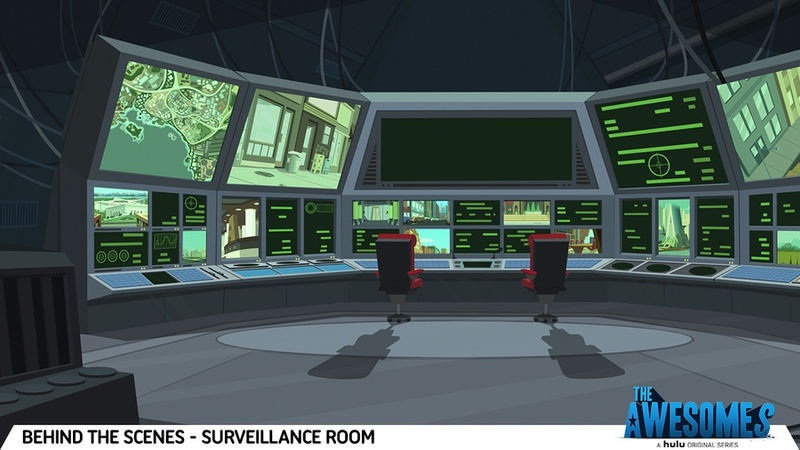 Meanwhile, The Awesomes search for Hotwire’s replacement. 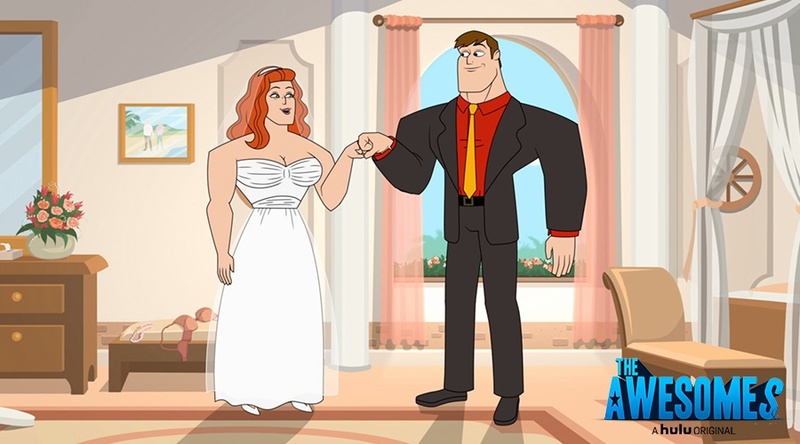 The team battles hotel surcharges, tiresome conversations, and a poorly planned reception during a trip to Catalina Island for Muscleman’s sister’s wedding. 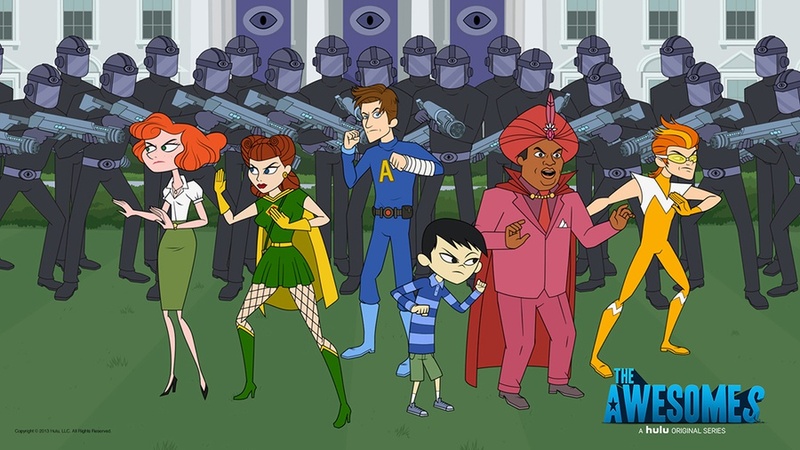 The Awesomes follow Tim back to school when the government mandates that all superheroes under the age of 18 receive a high school diploma. 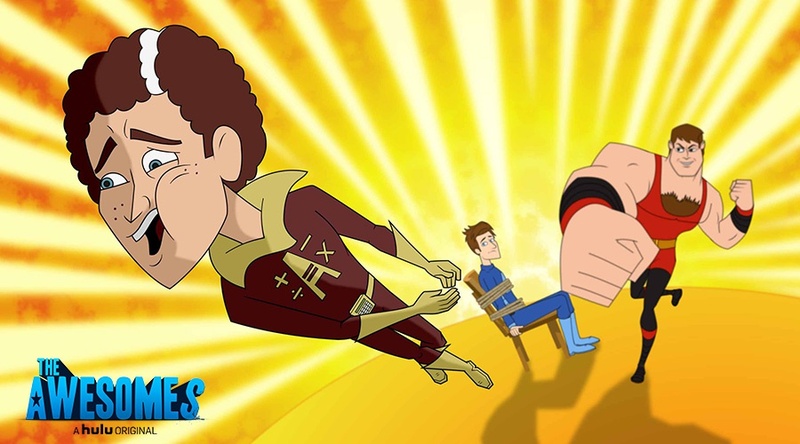 Tim struggles with bullies until he reveals his super powers. 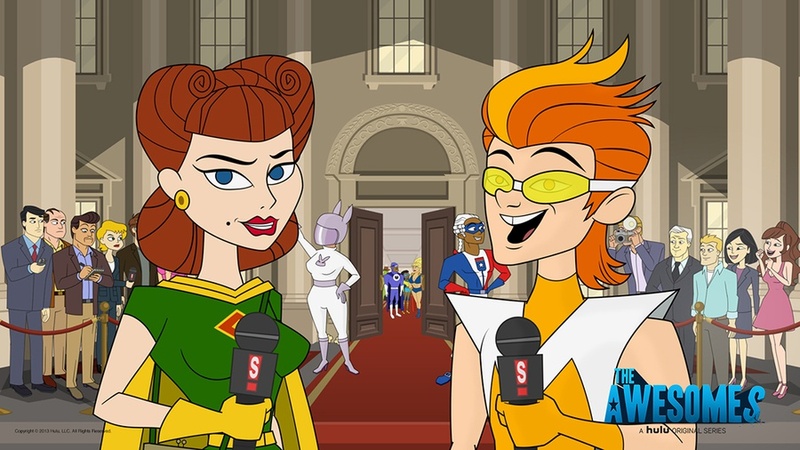 TV producer Lola Gold entices The Awesomes to boost their profile by starring in a reality show. Will Prock and the gang be able to avoid getting caught up in the sensational drama? Prock and the team stumble onto a holiday conspiracy when reports of little kids robbing stores leads them to the North Pole, where they discover that their ringleader is none other than Santa Claus! 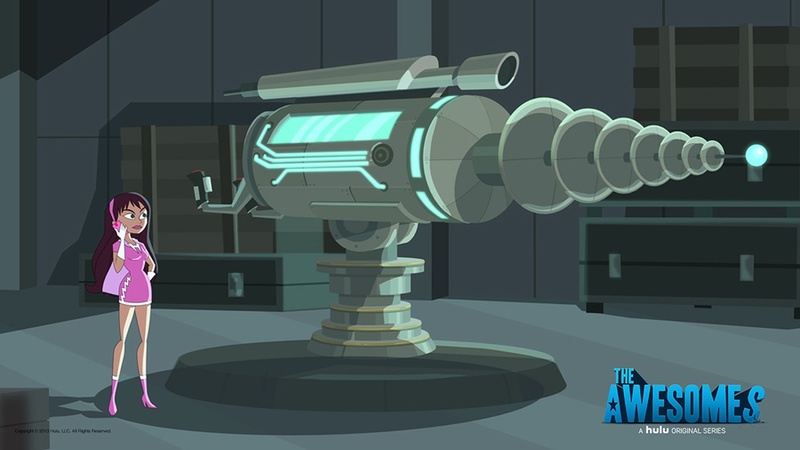 The theft of a deadly weapon takes The Awesomes across the Atlantic, where they encounter their European counterparts. Metal Fella reveals herself to be Hotwire in disguise, causing trouble in paradise for Prock and Jaclyn. 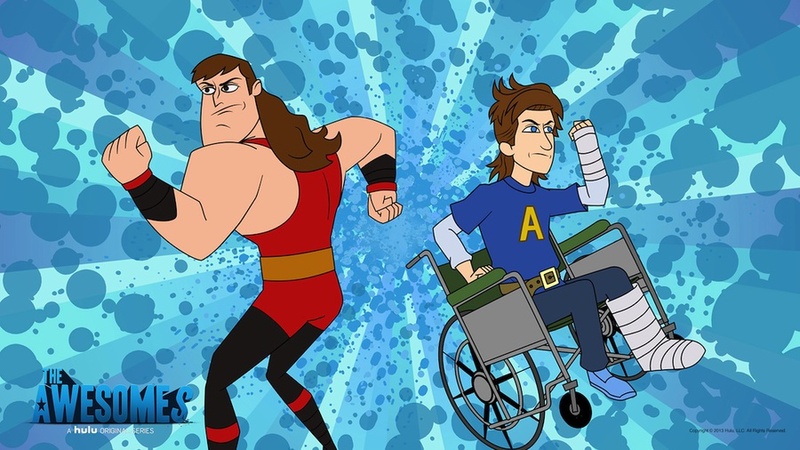 The Awesomes are celebrated with a revival of The Day of Awesomes. A parade honoring the team goes horribly wrong thanks to Malocchio, Jr.
Mr. Awesome attempts to infuse Malocchio with the power of good. 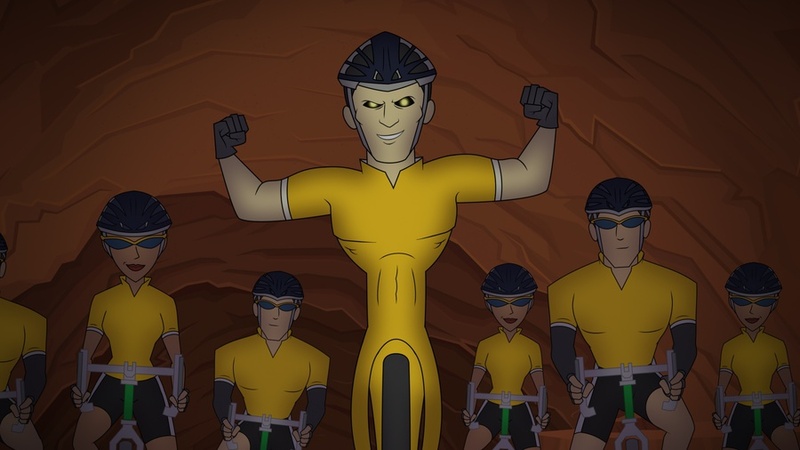 Meanwhile, Prock and the team rush to stop Malocchio, Jr. from carrying out his plan to destroy the world. 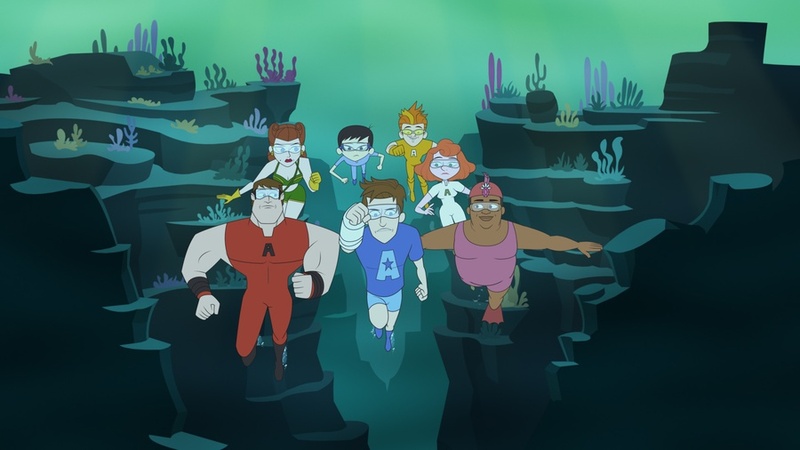 When undersea creatures stage a series of attacks on land, The Awesomes visit their old friend Seaman at the bottom of the ocean. Mr. Awesome returns to Earth. Valentines Day is ruined when Villain Tine steals all the roses in the world, Hotwire's Metal Fella suit goes rogue, and Muscleman faces the wrath of a jilted lover. The public looks to Mr. 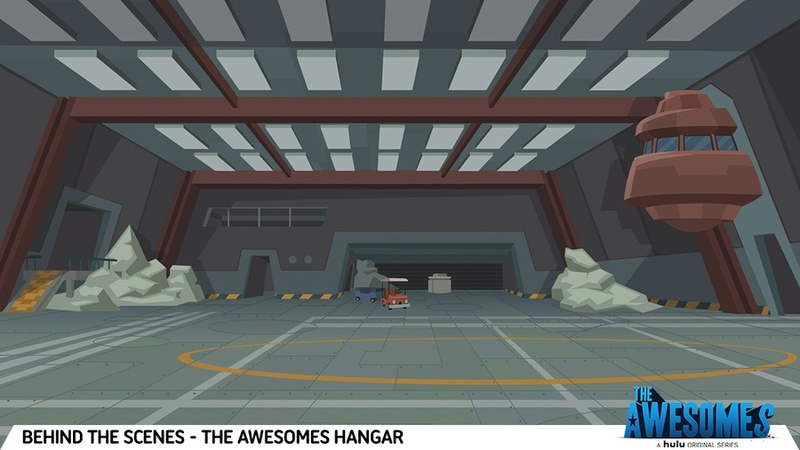 Awesome to fix the Awesomes' mess. 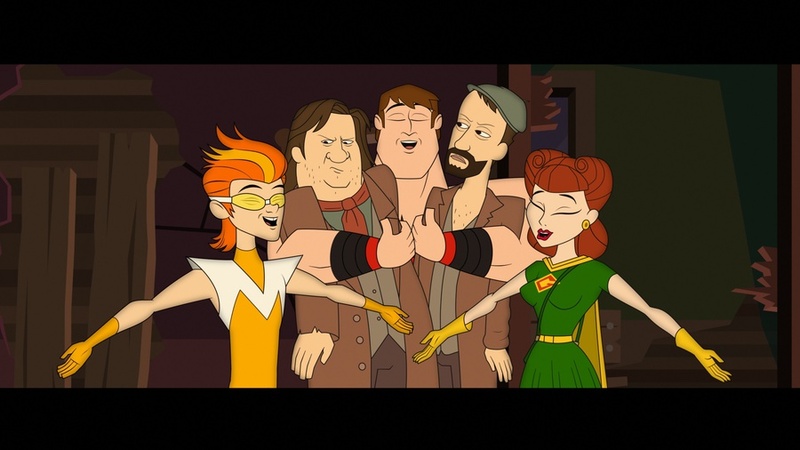 The Awesomes attend a banquet in France, and a poison in the wine makes everyone start singing. Perfect Man hunts down Impresario to arrest him for stealing a piece of his bread. 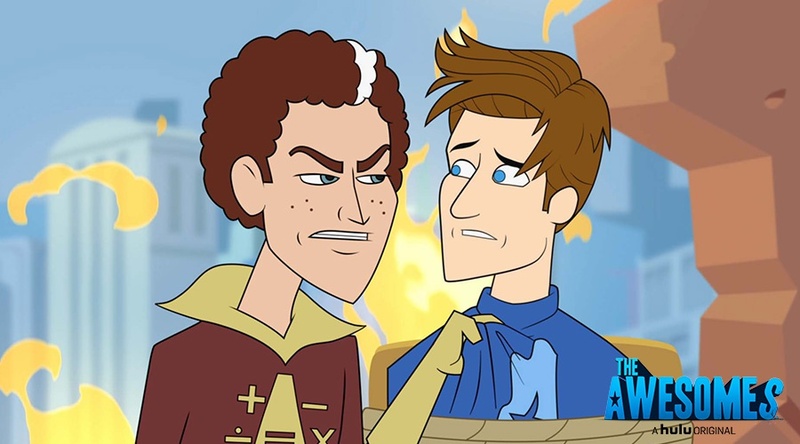 Guest starring Kate McKinnon and Andy Samberg. 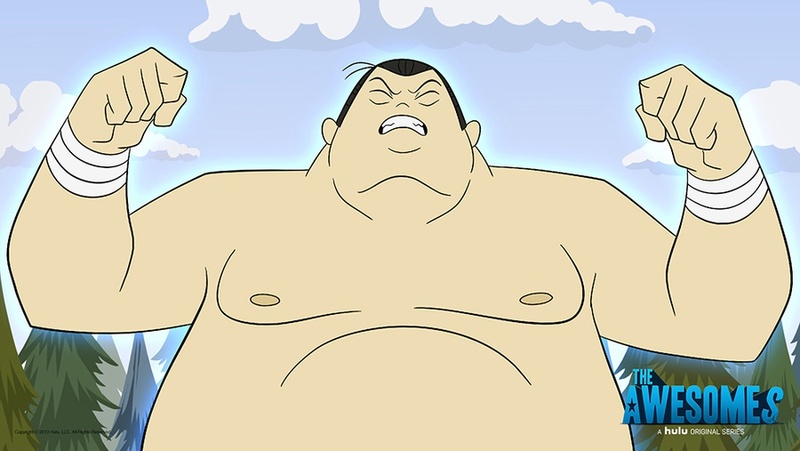 Prock and his team are kicked off The Awesomes, as Mr. Awesome takes over with Perfect Man. 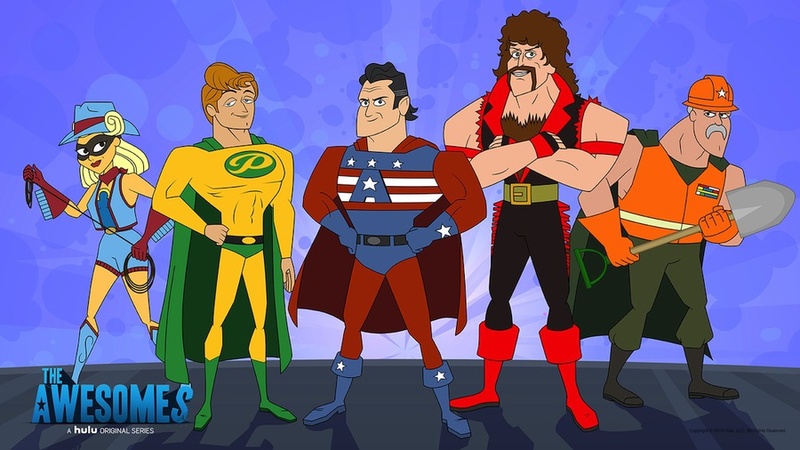 Forced to move in with Prock's mother, they decide to start an independent superhero team, The Awesomes for Hire. Mr. 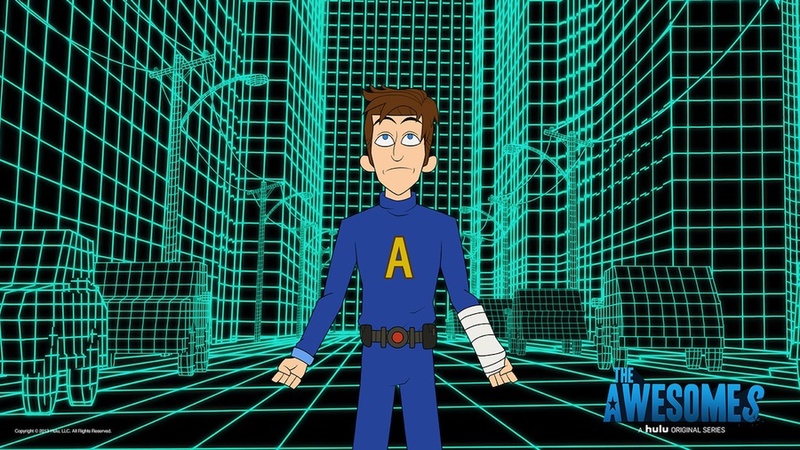 Awesome announces he's running for president. 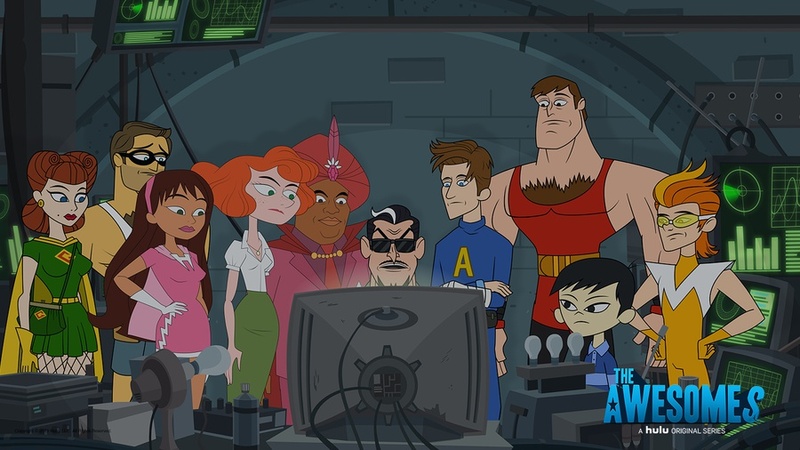 The Awesomes help their old friend, archaeologist Indiana Johnson, who hires them to track down his missing partner. Dr. Malocchio gets his memory back and heads back to earth to stop Mr. Awesome. 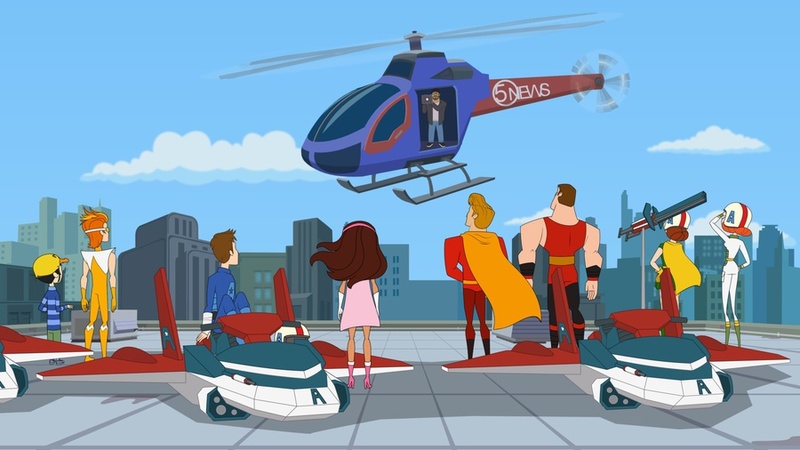 Concierge, Gadget Gal, and Hotwire join a secret all female superhero team, the Dames of Danger. The men stay home and have a guys night with Jeffrey. Hotwire faces a major life change. 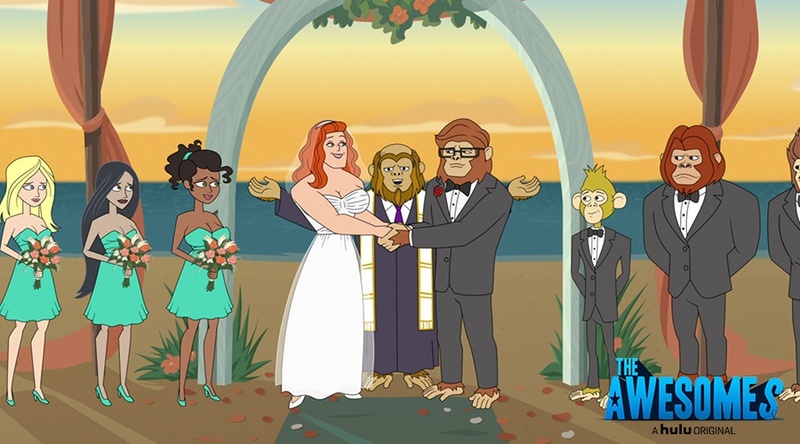 Guest starring Fred Armisen, Vanessa Bayer, Aidy Bryant and Amy Poehler. 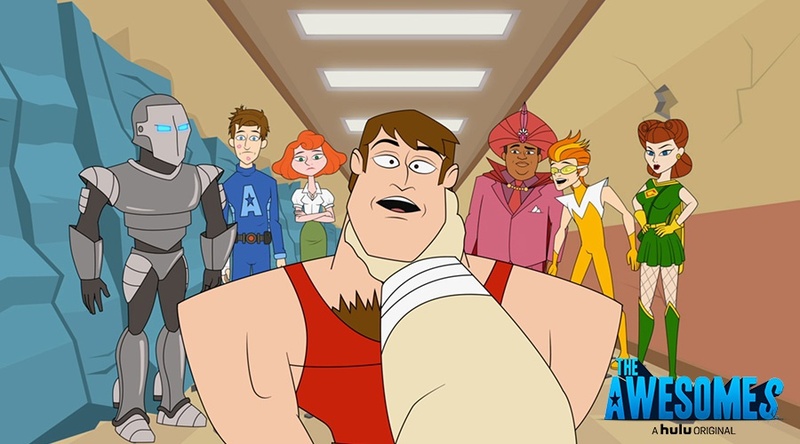 Unknowingly hooked up to a simulation, The Awesomes find themselves living simple lives in a small town, with Prock as the sheriff. 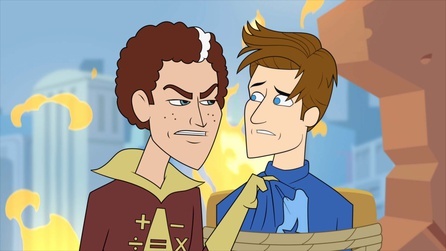 They must relearn how to be heroes when Perfect Man and the New Awesomes find the simulation and think it's a video game. Frantic is conflicted when he falls for a member of the Gay Mafia, a gay super villain team. 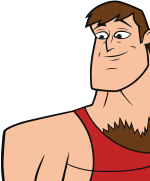 Prock, Perfect Man, and Muscleman go on a road trip when Mr. Awesome appoints Prock his new campaign manager.